For one Fort Worth group, puppies are more than playful creatures. The group, which works with Guide Dogs for the Blind, trains labradors and retrievers by socializing and nurturing them. “They go to church, they go to the grocery store, they go to restaurants. 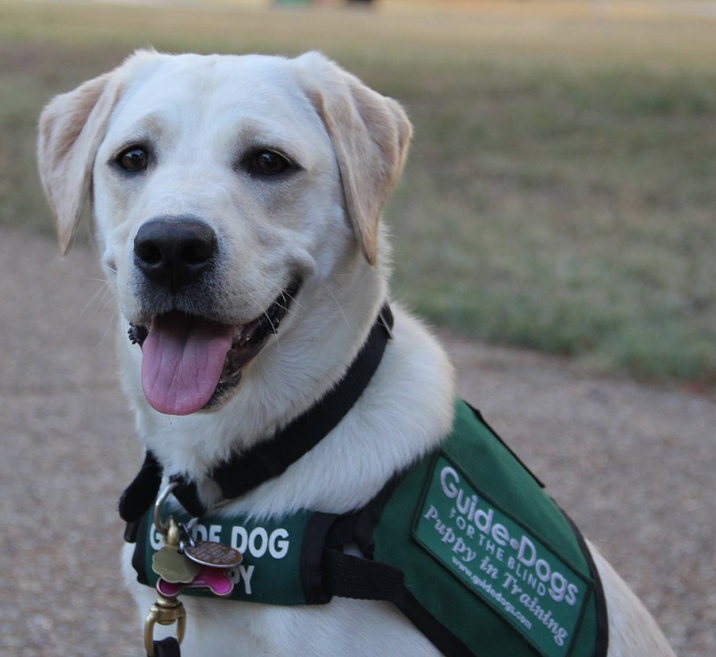 Anywhere you can go, your puppy in training can go,” said Becky Clark, who leads the Fort Worth Lone Star Guide Dog Raisers in 2014. It’s affiliated with the Lone Star Guide Dog Raisers. 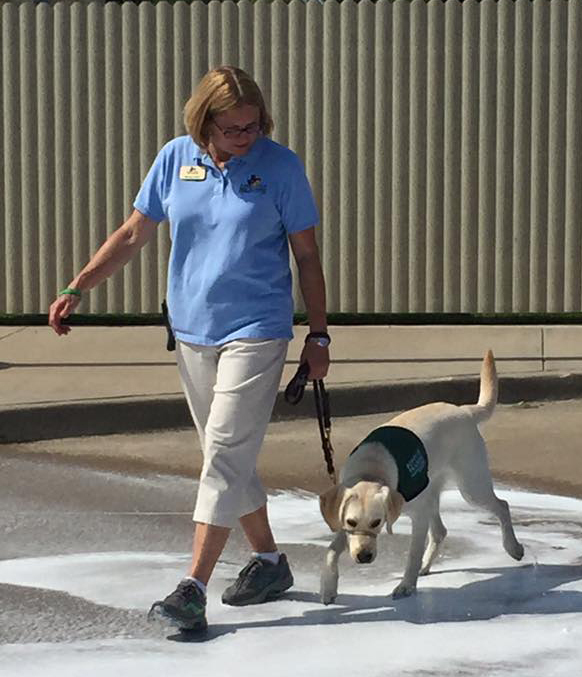 Founded in 1942, Guide Dogs for the Blind is a nationally recognized service dog training school. Puppy raisers nurture and train service dogs from eight weeks old to when they are around 18 months old. Service dogs play an essential role in assisting and improving the lives of those in need. These dogs are highly trained, well-mannered, and have an amazing impact on all of the lives they touch. Clark, who has raised three puppies, said raising a service dog is an around the clock responsibility. There are even back-up trainers who step in if regular trainer has a conflict. Vicki Whistler, an office coordinator for TCU’s Department of Strategic Communication, is a part-time sitter. These sitters ensure that the puppies continue their training regime and offer more people the chance to get involved in the guide dog program. The main goal is to prepare the dog for further training in California and its eventual role as a guide dog for the blind. In addition to getting them used to various social settings, the puppies are taught basic obedience (stop, sit, heel, etc.). The Fort Worth club regularly takes the puppies on outing to prepare them for anything and everything before they move on to formal training, Clark said. Even though they training the dogs, a connection is established the puppies and their raisers. Benton McDonald, 17, is a senior at Austin High School. His biggest passion is following various sports. He plays on the football team and writes about it. He wants to attend University of Missouri, TCU, University of Texas at Austin or University of Georgia. He wants to study journalism or special education.